Announcing the 2018 FVGS Genealogical Conference on Saturday October 13, 2018! More Information on the Conference Will be Coming Soon! FVGS Has a Facebook Page! Click On The Facebook Link Below to be Taken to Our Profile! 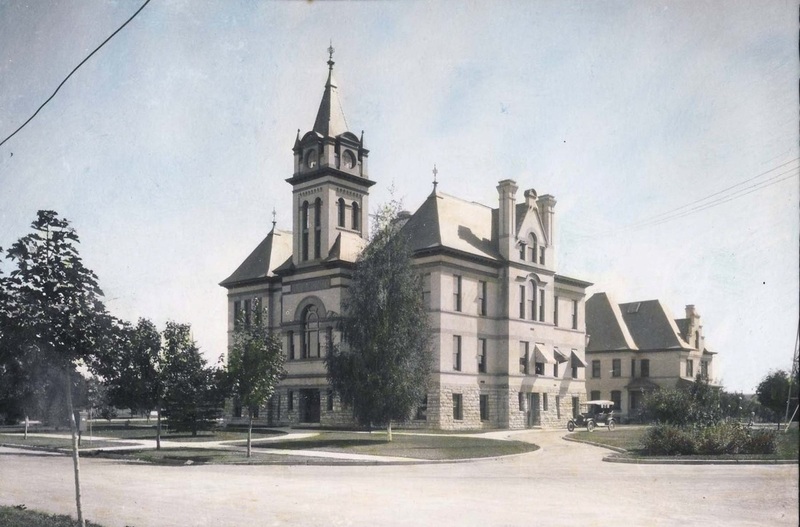 The Flathead County Courthouse about 1915. Completed in 1902, the courthouse was renovated in 2011 and is still occupied by the County Clerk and Recorder. The Flathead Valley Genealogical Society has reformed after an absence of twelve years from northwest Montana. At the state convention of the Montana State Genealogical Society held at Kalispell in September of 2011, interest was expressed in reorganizing a local society. Organizing meetings were first conducted in the fall of 2011 and the Society's by-laws were approved in May of 2012. Since then, the Society's membership has grown to over 30 members who are interested in learning about genealogical standards, methods and advancements while working to promote interest in family history in Flathead County. Membership is open to any individual interested in family history. If you would like to know more about the Flathead Valley Genealogical Society or are interested in joining the Society, please contact us! Or better yet, come to one of our programs that are held monthly. Check under the Programs tab above for the date, time and topic of the next scheduled event. For more information about membership and to download the membership form, click on the Contact tab.